Bloxx make a storming return today with new track ‘Second Opinion’. Released on Chess Club, it’s the perfect B-Side to the Radio 1 championed ‘Novocain’ which the band release at the start of the year. 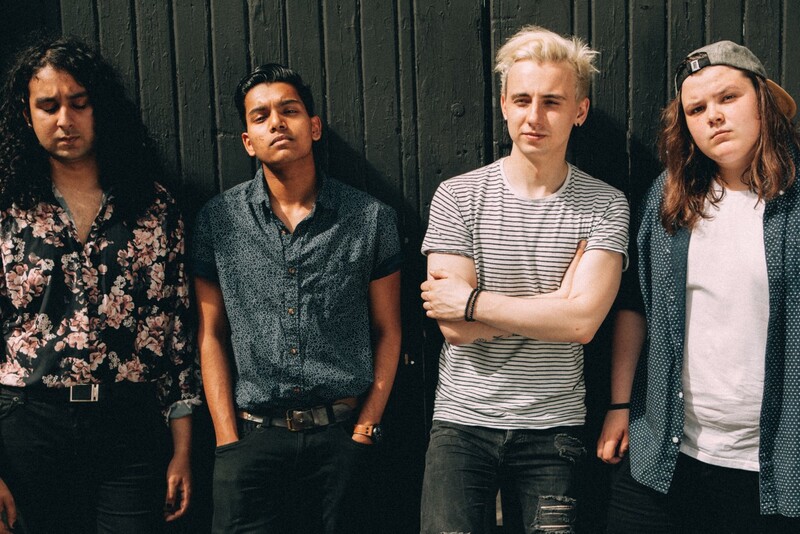 While 2017 was a terrific introductory year for the red-hot Uxbridge based Bloxx, 2018 has been even more exciting with the band going from strength to strength in all areas. Their first single of the year – ‘Novocain’ – has seen them become household names with Annie Mac on Radio 1, while they’ve toured the UK with Pale Waves and The Wombats– playing to bigger and bigger crowds every time, without batting an eyelid. Eager to play as many shows as possible, they’ve just finished their very own headline tour of the UK which unsurprisingly, was completely sold out. ‘Second Opinion’ is Bloxx’s soundtrack to a summer destined for the festival fields. Sitting perfectly alongside previously released tracks (‘You’, ‘Coke’, ‘Your Boyfriend’) – it’s another blaring statement of intent from the 4-piece, perfectly designed for the live show which is fast becoming a must see. Alarmingly infectious and unfiltered at every turn, Bloxx’s unique sound is fast becoming the new essential indie UK noise – and with a summer loaded with festival slots, they won’t fail to disappoint. Alongside the new track, the band have announced a massive UK tour for the autumn which will see them headline a mass of venues in all the major cities. They’ll kick off the tour in Norwich on the 28th October before reaching London’s Borderline on the 22nd November. But before then, Bloxx have festivals to play with confirmed slots at at Latitude, TRUCK, 110 Festival and Reading and Leeds. Don’t miss them – see full tour dates below.